They say a picture is worth a thousand words. Well, if one small photograph can convey a story, imagine what a full-color, high-resolution, wall-to-wall business mural tells the world. It’s not just one of the hottest interior design trends of the moment, either. Business wall murals are a signature piece of how you brand your company and stay in the consumer’s mind. Murals can be situated inside or outside your business, advertise your culture or highlight products and services. They strike the perfect balance between professionalism and personality — plus just make your office or business look darn good. 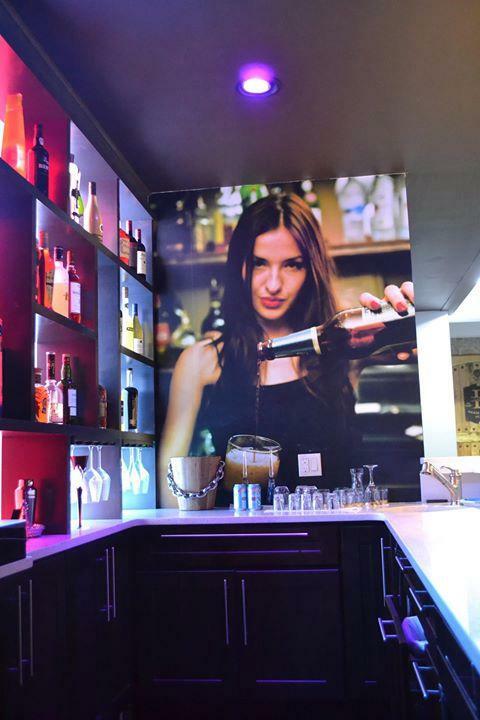 If pictures have a lot to say, then custom wall murals are the megaphone to broadcast it, loud and unique and clear. We’ve got an in-depth guide into large wall murals for your office or business — how they work, how they’re designed, what to do to best install them and much more — all to imprint the story of your brand. WHAT SIZES CAN WALL MURALS BE? Wall murals are meant to catch the eye. First and foremost, they come designed to convey what your business is and what it’s all about. They’re a visual advertisement without being “salesy,” meaning you can grab attention, reveal information and increase brand recognition and recall all with a glance at a well-placed, well-designed wall graphic. Roll-Fed Printing: Also known as web printing or a web press, roll-fed printing works in a constant, or “rolling,” fashion where a large unbroken sheet of paper is continuously fed through the print equipment. Murals then dry and are cut individually. Roll-fed printing technology has been around for a while and is used across many industries where fast printing is essential, from publishing to sales to graphic design. Flatbed Printing: Flatbed printers are similar — but not identical — to a traditional printer you’d find a home or office. However, flatbed printing allows graphics to be produced on more than just paper surfaces. Using UV lights to dry ink instantly, these digital printers can place images directly on T-shirts, glass, wood, plastic and more substrates with virtually no drying downtime. Roll-Fed printers can produce murals up to 6 feet wide and 300 feet long in a single print. 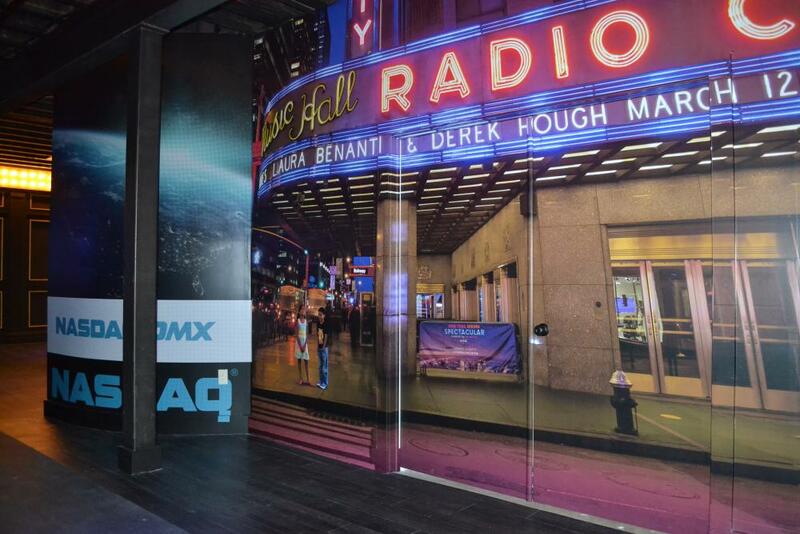 Flatbed and UV printing can produce murals up to 5 feet wide and 18 feet long in a single print. For murals larger than this or with custom wall layouts, individual “tiles” are printed and then panels are arranged together on an interior wall, exterior wall or wall divider. Overall, both printing mechanisms produce images that accommodate individual finishes, such as glossy, matte or dry-erase laminates. Both can also have their graphics mounted onto further physical reinforcers, which augment their strength and integrity and allow for more weatherable graphics. Tailored or reinforced backings are especially crucial for roll-fed paper prints. HOW CAN I DESIGN A WALL MURAL? You don’t need a graphic design or advanced degree in fine arts to create a perfect, brand-enhancing wall mural. In fact, your role as a business owner, entrepreneur or marketing professional actually positions you to better speak to the nature of your industry and the meaning behind your brand — which all get translated straight into the mural’s aesthetic. That vision becomes the foundation of your consultation with the professional graphic design and visual communications studio. Dimensions of Your Wall: While it seems obvious, measure and then re-measure the dimensions of the wall segment you want the mural to fill. Note any curves or other spatial elements that will need to be factored in for the mural’s final print dimensions and tile overlap. Color and Lighting: Consider how the mural will look in its environment. Natural elements like lighting and plants should be considered, as well as office furniture, paint colors, wallpaper or a room’s negative space — all to let the mural shine. Image and Text Ideas: Perhaps most important to communicate with the design studio are the images and text you wish to include on your office mural. These become the base behind the files you’ll need to upload on your end to create design proofs — which, in turn, become the final printed panels. After in-depth consultations and review, the next design step is to select and upload your desired text and images. Design Program: Generally, murals ideated and designed in Adobe Photoshop or Illustrator work best before sending to the printer. Designs generated in other programs like Quark, InDesign or Corel will require extra file conversions. File Type: Images saved and shared with a studio as .tiff or .eps files are your best bets for easy upload and digital-printing compatibility. While you’re likely more familiar with image files saved as .jpgs or .pfds, these files don’t play nicely with editing software, causing problems down the road. File Resolution: Your file output resolution should fall somewhere between 100 and 200 dots per inch (DPI) for the final design. Go over or under this, and you compromise the quality and readability of your murals, resulting in grainy or “bleeding” images. Insider Tip — Avoid Images Found Online: Though convenient, pictures copied and pasted from the internet will not be able to be manipulated like those from a real camera. Their pixelation and digital proportions are generally not conducive to professional murals. Note that not all printing operations have in-house designers. Large format printing services like SpeedPro, however, do have staffed graphic designers that can assist with editing, tweaking and perfecting existing and final design files, if needed. WHAT MATERIALS ARE WALL MURALS MADE OUT OF? 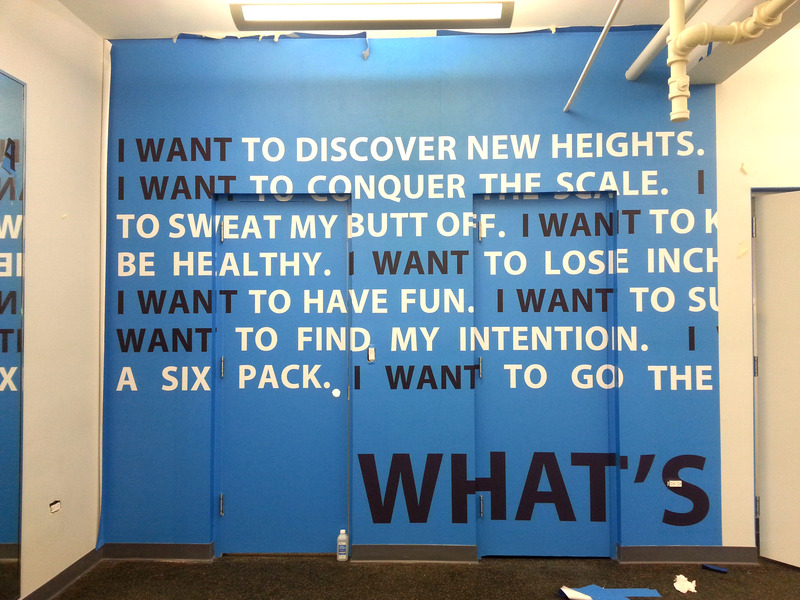 The better question is what materials can’t a wall mural be made from? We don’t say this jokingly, either. Today’s digital printing equipment, base materials and substrate technology allow for more mural manipulation than ever. You can find the right base to print your pictures on, plus functional yet aesthetic sealants and other protective elements to lend it strength, resilience and shine. There are two main categories of materials that make up the custom wall mural — the media and the ink. Cast Vinyl: Considered a premier manufactured material, cast vinyl is a type of plastic film popular for it’s near paint-like final appearance. It is thinner than other print vinyl, which allows it to hug wall curves and divots yet still maintain vivid colors and resolution better than stiffer varieties. Calendered Vinyl: A cousin to cast vinyl, calendered media is thicker and slightly denser but has relatively similar color-maintaining and adhesion properties. It is ideal for smooth surfaces and longer stretches of linear interior walls. Photo Paper: Photo paper is a classic specialty media with a rich, glossy and eye-catching finish. It works well for custom wall murals with collages and other photo-centric imaging. Canvas: Another specialty media, canvas lends wall murals texture and a unique finish, giving your office a one-of-a-kind artist’s touch. Perforated: Perforated window film is used on glass walls or exterior windows, where mural perforation allows for rain to drain away and natural light to pass through. Plus, perforated media has one-way visibility, so you can still see outside unobstructed. Exterior Wall Murals: Not all exterior walls support the same substrates as interior ones. For brick, concrete or stone veneers, specialty substrates and matching laminates work to protect the mural from harsh outdoor elements, keeping it in mint condition longer. UV-Curable: UV-curable inks are the working complement to flatbed printing. Compared to traditional water- or oil-based inks that require time and heat to dry, UV ink “cures” almost instantaneously and can be used on nearly any surface. That’s because the ink images pass underneath a specially-tuned UV wavelength strip while printing, prompting an immediate reaction that flash dries pigments right on top of the selected substrate rather than bleeding into the substrate itself. Eco-Solvent Ink: In contrast, eco-solvent ink actually seeps into and interacts with the fibers of the base substrate. This leaves the ink with different sheens and finishes depending on the substrate while providing a great bond and long-lasting coloration and image clarity. Eco-solvent does require heat to fully dry, as heat removes the top-layer solvent and leaves behind only the desired, imprinted ink’s pigment. HOW DO I INSTALL WALL MURALS? Installing your custom wall mural is an exciting finishing step to see your space come to life. The design ideation and work you’ve put in see fruition as a full installation on your office walls, branding your company and creating a fresh environment for all to experience. 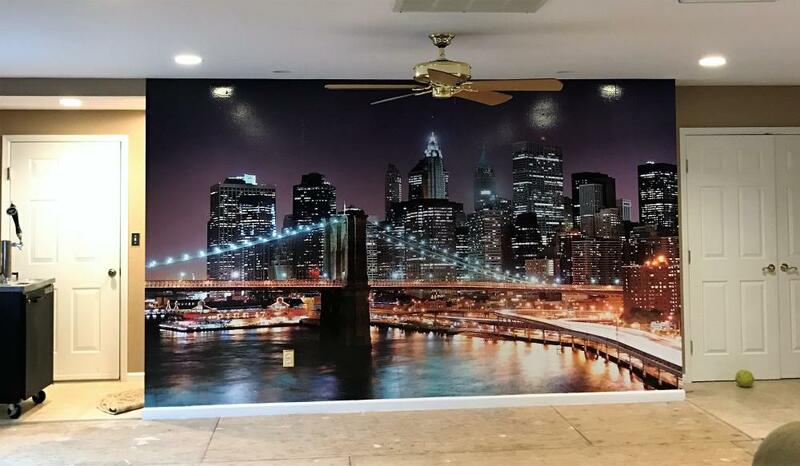 Wall graphic installation is a straightforward process that you or a team of experts will accomplish in just a few hours. Visual communication studios can even install an office wall mural for you, with proper substrate panel mounting, smoothing and trimming to make the final mural look as seamless as possible. Prepare Your Wall: Wipe down your wall with a clean, dry cloth or a lint-free microfiber cloth to remove dust and dirt. Keep an eye out for corners or crown-molding trim in particular, where residue more readily collects. Prepare the Mural: Place your mural image-side down on a cleared area next to your wall. If installing a large-format mural with multiple tiles, arrange the tiles on the ground in their respective mounting order. Remove the Adhesive: Slowly peel back and remove the mural’s protective lining from the adhesive. Mount Your Mural: Neatly and methodically apply your mural or mural tiles one at a time on the wall. Use your fingers to apply pressure to stick the adhesive to the wall. Squeegee out Creases: Start from the center of the image and swipe upward to the mural’s top edges. Repeat the same motion symmetrically, this time starting in the center but smoothly applying pressure downward. Apply Sealant: If your mural meets a floor that receives regular moppings or cleanings, protecting the image from water damage with a sealant is critical. For even more details and information on lasting wall graphic installation, check out “How Do I Prepare Interior Walls for Graphics?” under Installing Graphics on our resource page. HOW LONG DO WALL MURALS LAST? With proper care and maintenance, your indoor large wall mural can stay eye-catching and brand-effective almost indefinitely. Likewise, an outdoor mural’s lifespan can exceed that of a regular paint job, lasting many years depending on substrates, mural laminate and environmental conditions — all of which you can review with a design studio. Wipe down your mural every few months with a lint-free cloth or sponge. Dampen the cloth or sponge with water and mild soap. Avoid harsh cleaning chemicals, bleach or any petroleum-based products. Start at the top edges of the mural and work your way down with smooth, even cleaning strokes. Hand-wash your wall murals only. Do not use washing machinery or equipment. Be careful not to get soap or water between image seams. This may cause mural tiles to curl and peel. Thoroughly dry your mural with a second lint-free cloth or sponge. Note that regular cleaning of your mural with water and soap is only a good idea if your mural has been laminated. 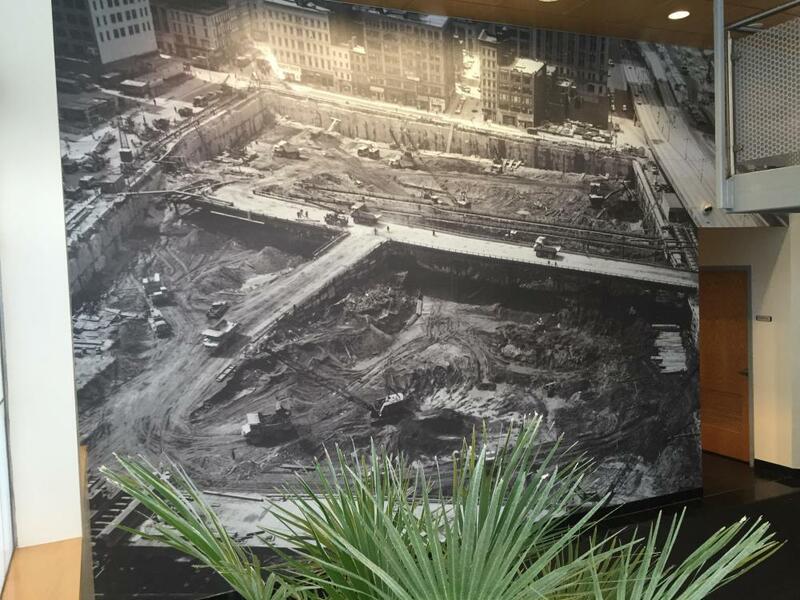 An unlaminated mural should have as little direct contact with water as possible. For stains on your mural, follow the general instructions from above but begin with a citrus-based cleaner on your cloth or sponge. Apply firm yet even strokes to remove the stain, then immediately wash the area with soap and water using a different sponge. Do not use a specialty scrubbing or scouring pad on your mural.